Maintenance crew are extremely professional in their timing and efficiency. Front staff office are extremely sweet and polite. I have loved living at 618 South Main. It's expensive for Ann Arbor ($2100/month for a 1BR), but I'm able to split the cost with my partner and have found that the benefits of living here make up for the price. There are free social events in the building about once a month (with drinks and food), yoga classes a couple of times a month, and a book club that just started meeting last fall. My favorite amenities are the free Starbucks coffee, pool and hottub, outdoor grills, great gym (never too busy), and the office workspace (printing, able to rent it). The management is wonderful -- they are very active and repairs are completed within one day of a request. I also love the community. Unlike most apartment buildings in Ann Arbor, there are no undergrads who live here so the building is a lot quieter. Most of the people living here are grad students, but there are also families, visiting professors, and young professionals in the area. There are a ton of dogs in the building, which is amazing if you like to see puppies/dogs on a daily basis. Despite tough times with classes, student life or struggling to find freelance opportunities, Eleven40 produces the best environment to be a successful graduate student. I moved in June 1 and have experienced the best work spaces, fellow neighbors and in-home appliances I could have expected. It also doesn't help that the building officially opened in May 2018. To my surprise, law, MBA and dentistry students are a few that I have become close with while living here. Not many families live here, but instead there is strong, boiling culture of young professional and graduate, doctoral students. Of course, my assessment is only valid for those interested in studio units. The modern appliances speak "convenience" for me, most notably the 2-in-1 microwave and oven. I have a fairly spacious refrigerator and more than enough cabinet space--closets as well with one by the door and another large compartment in the main area. 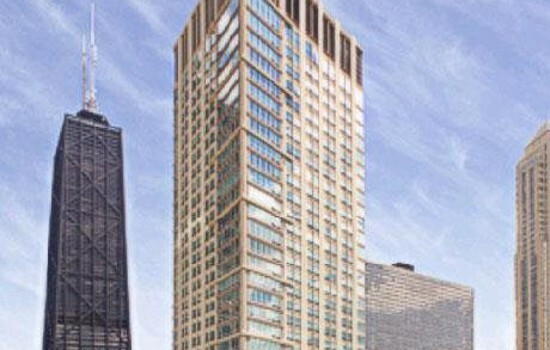 ALL studio units have a beautiful view of the Loop skyline, facing north. 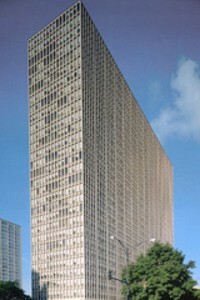 Eleven40 has 19 floors of living and 8 and above is wonderful. Floor 1 is the lobby while 2-4 is parking. Level 5 is the main lounging areas, including the work space as well as a tremendous gym space. 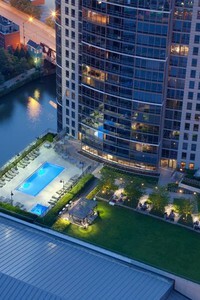 Residents live on floors 6-25 followed by a sky lounge on the 26th floor. 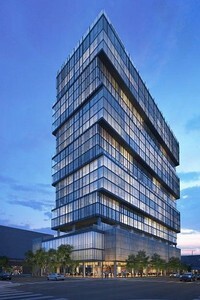 The leasing office frequently holds events for the renters and guys there are really helpful and patient. As a student coming from a big city and looking to live alone, this is by far the best option. It is a nice building, where you don't need to worry about undergrads running around and being loud. I make great use of the amenities, including the pool, hot tub, gym, printer, and free coffee. The building hosts lots of social events (with free booze) and also offers free donuts every Friday and free yoga several times a month. The staff is very responsive and personable. 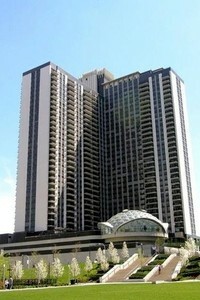 Great value for Hyde Park high-rise apartments: mini-gym inside, relatively spacious, hardwood floors, nice bathroom. Only downsides are stoves are electric and not gas, and there is no dishwasher. Great building, management is super nice. There are a lot of dogs which is great for dog owners, but not the best if you don't have one. Many Rossers living in the building and ample community space. Gym is well maintained and parking underground is amazing. The management at Twin Towers is excellent and quick to respond to maintenance requests. The building is slightly old, but also very welcoming, close to the lake, and right on the bus line that takes you to the law school (and there's another bus that goes downtown). The fitness center is very nice and there is central air conditioning. The biggest downside is that the only nearby grocery store is Whole Foods, but that is true of most of Hyde Park right now. Great location with easy access to the 172 and 6 buses. The building is slowly updating all units. My unit is not yet updated, so the kitchen, bathroom, and carpet need updating, but the rent is very affordable and the maintenance team is great. I like that the building has a (basic) gym and secure lockers for packages. 618 S Main has everything you need - a gym, starbucks coffee, a lounge, a study room, free printing, and a very helpful and hospitable management and maintenance team. Being across the street from the Yard, where there are 80+ other MBAs is also super convenient. The walk to Ross isn't so bad, and so many other grad students live in the Hill/S Main area. The walk to downtown is also easy, and ubers elsewhere in Ann Arbor are very cheap. It's great having other MBAs in the building, while also having my own space. The only slight downside is the noise of the train going by some nights (and some days), but a white noise app on your phone should do the trick. The staff at 618 is extremely attentive and help create a wonderful community to live in. 618 is clean, modern, has a nice gym, and is very pet-friendly. The complex also has great communal spaces including a business center, which offers a great space for group meetings and to study. Many other business students, as well as graduate students live within the building and there are no undergraduates that live within the building.